“In his address the President has provided clarity on two issues of major concern to the SA energy sector: A firm commitment to investment growth in clean energy and that of Eskom, paving the way for necessary fair market access job creation and GDP growth,” she said. 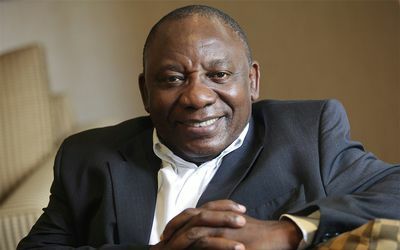 According to Ramaphosa, the government will immediately embark on a process of establishing three separate entities at Eskom, made up of “generation”, “transmission” and “distribution” under Eskom Holdings as a vital step towards procuring for the country “smarter, cleaner and more affordable energy” and facilitating a managed energy transition that is just, credible and sustainable. Renewable energy has, to date, invested close to R202bn (24% of which is foreign direct investment) in the South African economy. It has contributed 26 840 GWh to the national grid and created about 36 500 jobs – with the potential to create many more, continued Martin. Other benefits include R640.3 million invested into socio-economic development contributions to communities and R204.6 million invested in local enterprise development. On the environmental front, 27.2 MtCO2e energy-related carbon has been avoided and 32.2 Mkl energy-related water-use has been avoided. Through smoothed allocation of 1.5 GW of wind per annum between the years 2021 and 2030, the country can expect a total GDP impact by the wind industry alone of approximately R200bn by 2030 along with the realisation of over 70 000 jobs (from construction, operations and maintenance).